My name is Jessica Scully. 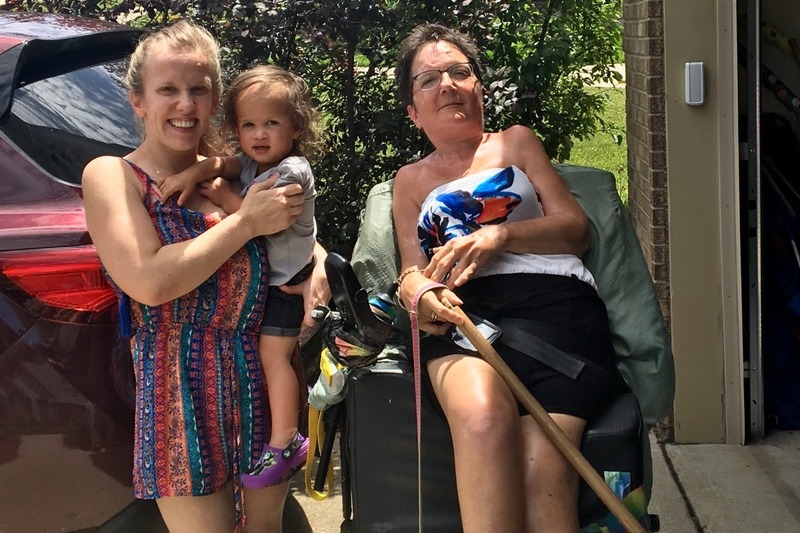 I am a mother, grandmother, and disabled American. I have a rare disease, Fibrodysplasia Ossificans Progressiva (FOP), sometimes referred to as 'stone man syndrome' that has turned muscle into bone. I am currently working to increase awareness for the struggles that disabled individuals like me in Hamilton County, Ohio face as a direct result of my own struggles trying to navigate this unaccountable and poorly managed bureaucracy. I have recently filed a lawsuit as one last effort to hold those accountable who have made transportation impossible, movement painful, sleeping uncomfortable, and so many more issues that I face daily. My disease has proven to be a cake walk compared to my struggles with the institutions that were created to improve the quality of life for disabled individuals in Hamilton County. I am angry for all of us who are part of the handicapped community. Coming to terms with the fact that we were made us this way is a deeply private struggle each of us faces. As a community, the handicapped have been pushed aside and neglected by government bureaucracies who have forgotten their mission is a matter for all of us. I need your help to hold these such agencies and their leadership accountable. While I refuse to be a victim, I have drawn my line in the sand in full view of the media and the courts. This very public skirmish, intended to increase awareness and put the political leadership on notice, is an expensive struggle and I need your help. If you are interested the details of the court case, you can find them here Jessica's Story on Channel 9 . Absent concern for handicapped individuals, the outcome is a society that abandons those who least able to survive on their own. When such an attitude becomes institutionalized, you end up with my set of circumstances which exposes the worst about us as humans. Regrettably, it will be up to the courts to decide what kind of society we want to be. We thank you for your time and ask you to help out in any way possible, it is greatly appreciated.